Looking for your next great Mexican meal in Chicago? These new spots will satisfy all your cravings. Here are the newest places to check out the next time you're in the mood for Mexican food. Casa De Luna is a Mexican restaurant serving up small plates, entrees and combos. Start off with quesadillas, tamales and nachos. For your main course, offerings include the taco or burrito dinner, three kinds of enchiladas or grilled carne asada. Really hungry? The De Luna's Ultimate Skillet has skirt steak and chicken breast and is served with a shrimp kebab wrapped in bacon. Seafood dishes are also available. Casa De Luna currently holds four stars out of nine reviews on Yelp, indicating good reviews. 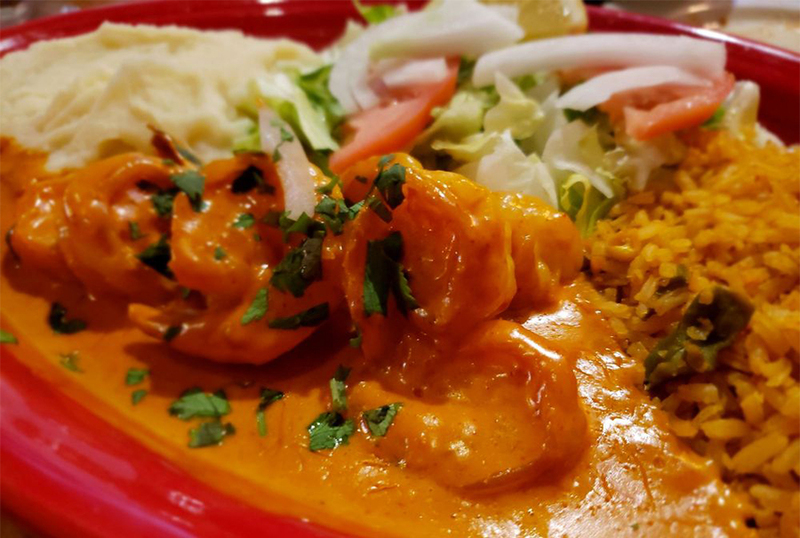 Yelper Therese K., who reviewed it on June 18, wrote, "Great, simple Mexican food. Excellent service! Went on a Monday night for a quick post-work dinner. Everything was great." Michelle U. noted, "Nice decor and clean. Very good and friendly service. However, the food was just OK. Nothing to write home about, but then again, I am Mexican and possibly their harshest critic." Casa De Luna is open from 11 a.m.-9 p.m. on Monday, Tuesday, Wednesday, Thursday and Sunday and 11 a.m.-10 p.m. on Friday and Saturday. Salsa's Grill makes its tortillas in-house and offers individual tacos stuffed with steak, chicken, shrimp, pork and more. On the menu, entree options include fajitas, enchiladas, grilled salmon topped with caramelized onions and carne asada. Weekend brunch features omelets, hotcakes and molletes (baguettes with pico de gallo and bean spread). Breakfast and lunch fare are sold daily. Thirsty? Grab a shake, fruity fresca or soda. 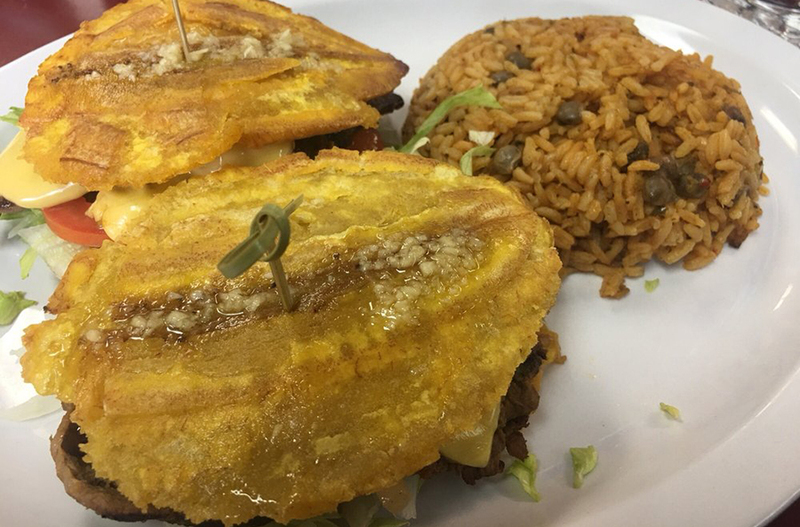 Yelpers are excited about Salsa's Grill, which currently holds 4.5 stars out of three reviews on the site. Brenda R., who visited on June 12, wrote, "This is by far the best Mexican restaurant I've ever been to. The food is amazing and the service is incredible. I will be here very often. I loved everything about it!" Juan C. noted, "Chips and salsa are great. Was surprised when we got a small sopa de fideo. Horchata is sweet and tasty. The chilaquiles rojos were the best I've ever had at a restaurant. All in all, great new spot!" Salsa's Grill is open from 9 a.m.-9 p.m. on Monday-Thursday, 9 a.m.-10 p.m. on Friday and Saturday, and 9 a.m.-8 p.m. on Sunday. El Rincon is a new eatery located inside La Fiesta Bakery. Look for breakfast options like skirt steak with two eggs and refried beans; chorizo eggs Benedict complete with sausage, avocado and a pair of poached eggs on English muffins; or classic pancakes and syrup. Afternoon fare includes sandwiches, tostadas, burritos, gorditas, empanadas and salads. Zero in on the shrimp or fish taco dinner with rice and beans, or a loaded steak burrito. El Rincon is off to a strong start with five stars out of five reviews on Yelp. Yelper Demetrius R., who reviewed the eatery on June 18, wrote, "The chef has that magic touch I swear. The staff is super friendly, even the delivery driver is awesome. It's hidden in the back of the bakery so feel free to pick up some pan dulce while you wait for your order." Francisco C. noted, "Great friendly and fast service. Food is amazing here, must try the Cubano sandwich. Will definitely be coming back!" El Rincon is open from 9 a.m.-8 p.m. on weekdays and 8 a.m.-8 p.m. on weekends. Modern Mexican restaurant El Potosino Grill features weekend breakfast along with an extensive menu of tacos, burritos, gorditas, tortas, quesadillas and main dishes. Breakfast grub includes a two-egg burrito with chorizo, beans and sour cream, and the huevos rancheros -- three eggs topped with ranchero sauce served with beans and a tortilla. Tacos and burritos come with a choice of barbacoa, al pastor, chicken, pork, tilapia, steak or picadillo. Noteworthy entrees include the chiles rellenos (two poblano peppers stuffed with cheese and topped with ranchero sauce); sauteed shrimp with mushrooms, chipotle cream sauce and tequila; and salmon steak served with lentils and sauteed veggies. Take a look at the full menu here. With a 4.5-star rating out of 11 reviews on Yelp, El Potosino Grill has been getting positive attention. 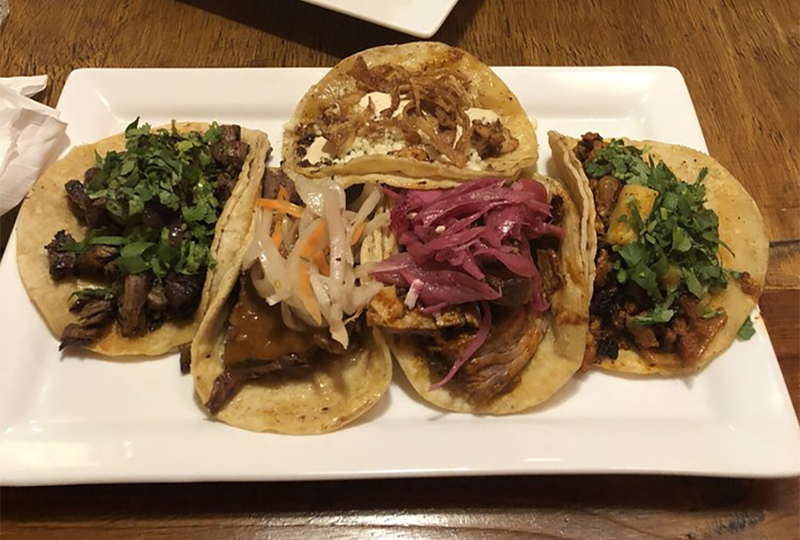 Yelper Sarah C., who reviewed the restaurant on May 3, wrote, "These were great tacos! I love it also because it is right in my neighborhood. My husband and I shared carne asada, camarone (grilled rather than fried and really tasty), and had barbacoa tacos and guacamole." Laura A. noted, "So far, I can recommend everything. We've mostly had tacos, and the burrito bowl, which is basically a taco salad in a fried flour tortilla, and it's excellent." El Potosino Grill is open from 11 a.m.-10 p.m. on Monday-Thursday, 10 a.m.-11 p.m. on Friday, 9 a.m.-11 p.m. on Saturday, and 9 a.m.-9 p.m. on Sunday. 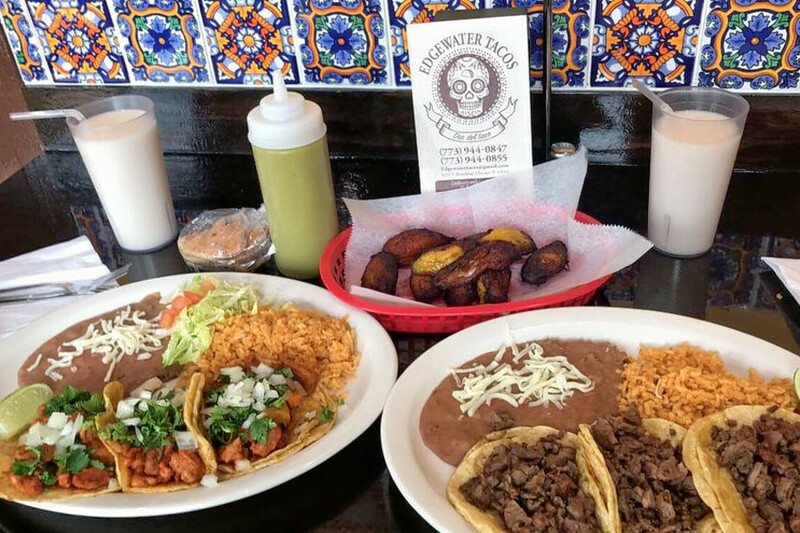 Edgewater Tacos offers economically friendly fare, including tacos, enchiladas, burritos, tortas, chimichangas, tostadas and full entrees. Expect menu options like the carne asada skirt steak burrito, a chorizo tortilla or a deep-fried chimichanga with braised pork. Dinners include the fish taco plate, three enchiladas served with rice and beans; and the combo fajita, complete with sauteed veggies and served with guacamole. The full menu can be seen here. Edgewater Tacos has received a warm welcome to the neighborhood with five stars out of 43 reviews on Yelp. 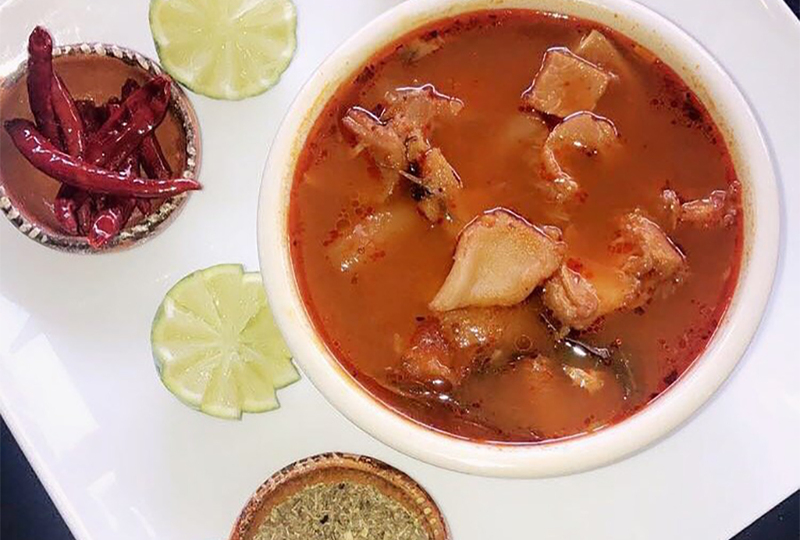 Yelper Eric K., who reviewed the taqueria on May 5, wrote, "I stopped in after friends told me it was good and how much they missed the previous place ... It did not disappoint." 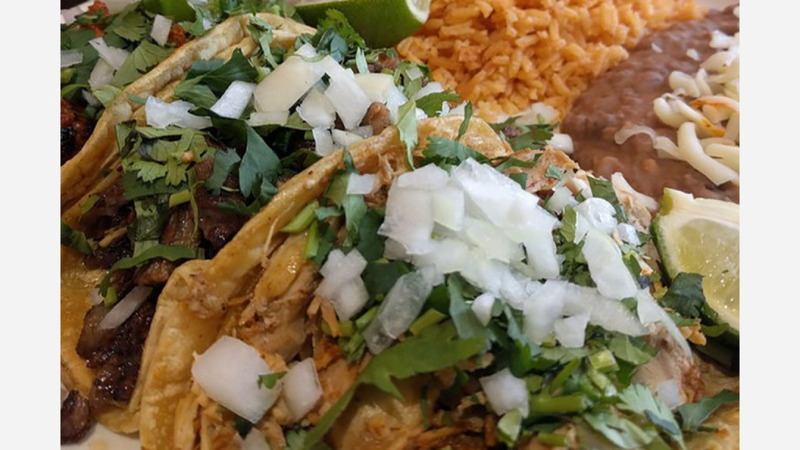 Yelper Adam C. wrote, "Having missed Tacos el Norte since they closed years past, have been looking for a quick bite Mexican place. Found it! ... Food is fresh, tasty and delicious! Quick service, good variety."